As a part of the Red Tape Challenge to reduce regulation, Defra reviewed the need for the 1998 Regulations. The public consultation on ‘possible regulatory options’ ended on 13 March 2013. Ministers announced their decision – to do nothing – in early August, the traditional month for burying policy embarrassments. There has been predictably little reaction, which is a shame, because an opportunity has been missed to realign a part of the food system for good. Mandatory fortification of all flour, other than wholemeal, with calcium carbonate (1941) and iron, niacin and thiamin (1953) is testament to long-standing policy agreement that roller-milled white flour was and remains nutritionally inadequate, at least in respect of these four nutrients. Advances in knowledge and research since 1953 indicate that the underlying nutrient density of typical bread wheats may have declined, so assumptions about the dietary contribution of white flour (even when fortified) need to be revised. Some of the mandatory fortificants, notably iron, are poorly assimilated, undermining the credibility and logic of the current regulations. Certain population groups may be deficient in micronutrients, for example, magnesium, zinc and selenium, which are not considered in current fortification policy. Furthermore, some people depend disproportionately on white flour products and under consume foods that are naturally richer in micronutrients. It cannot be assumed that they would be able to replace the nutrients currently added to white flour. It is not widely recognised, the Defra consultation review ignored the two submissions that highlighted this fact, that processing method influences bioavailability. Almost all UK bread is made with insufficient fermentation time to neutralise phytate which locks up key minerals, including iron, calcium and magnesium and to deliver raised levels of naturally available folate (folic acid). Fermenting a yeasted bread for 6 hours doubles the amount of folate in the dough. Yet rather than encourage bakers to give their bread the necessary time, the government has for years been considering mandatory fortification of flour with an additional synthetic nutrient, folic acid, with the aim of reducing the incidence of neural tube defects in newborns. The fortification mindset is deeply rooted, perhaps because it aligns so well with two familiar, paradoxical, food industry obsessions – cost-cutting and adding ‘value’. Three basic options were considered in the review of the 1998 Regulations: no fortification, drop the B vitamins but continue to fortify with calcium and iron, and maintain the status quo. There were two sub-options of the ‘do nothing’ approach: continue with fortification but restrict it to bread flour only, and exempt flour that makes up less than 10% of a foodstuff. "Ministers announced their decision – to do nothing – in early August, the traditional month for burying policy embarrassments." Inaction doesn’t address the bioavailability issue, especially of added iron; the Government’s own Scientific Advisory Committee on Nutrition, in its June 2012 position statement, commented: ‘Evidence suggests that iron in the form added to wheat flour (and in iron fortified foods) is poorly absorbed and may be of little practical use in improving iron status’. Perhaps this should be called the ‘placebo’ approach: dosing people with something that is known to have no effect. In terms of public health nutrition it looks more like official deception. Doing nothing does not critically address the range and choice of possible fortificants in the light of modern knowledge of the importance of, for example, magnesium, zinc, folate, etc., nor does it address the effect of processing method on bioavailablity. Laissez-faire also lacks transparency, the presence and names of synthetic fortificants and their intended role are not explained on product packaging, and thus fails to engage consumers in making improved rational choices of food based on reliable information. 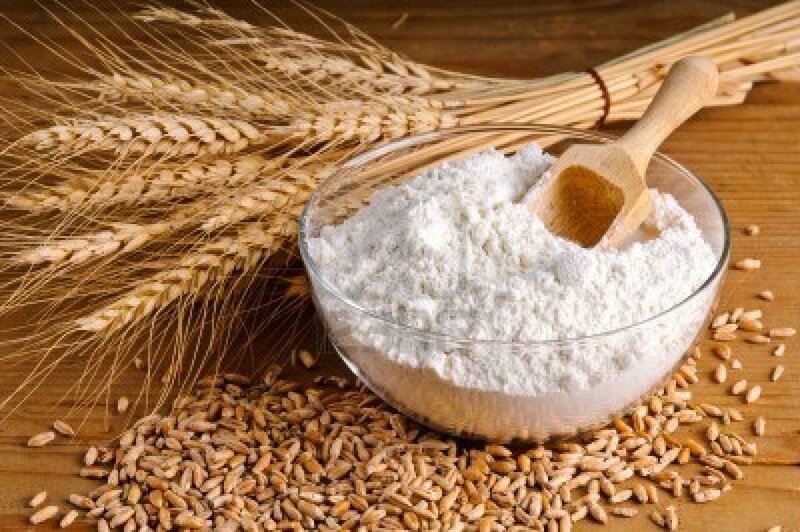 The status quo fails to acknowledge the wishes of small scale traditional millers and organic and Real Bread bakers not to put or have additives of any kind in their flour. The current regulation tends to support the ‘medicalisation’ of a basic food, with the temptation to use flour as a carrier for all manner of neutriceuticals of which folic acid is only a stalking horse. It also runs counter to the ‘choice’ agenda and to health education efforts by reinforcing assumptions that it is fine to eat only white flour, because ‘they’ have made it ‘healthier’, whereas the nutritional consensus is overwhelmingly in favour of greater whole grain (fibre/non-starch polysaccharide) consumption. Perhaps most tellingly, doing nothing misses the chance to enlist the food industry in facilitating positive whole-diet improvement and so runs counter to the Government’s very own responsibility agenda. A much better approach would be to address the nutritional inadequacy of refined white flour from a public health perspective, asking not ‘What should we put back into flour?’ but ‘How might we make flour as good as possible for everyone?’ Good, in this context, must mean both nutritionally dense, flour which contains optimal levels of those vitamins and minerals with which it is naturally endowed, and digestible, that is free, as far as possible, of protein fractions that trigger gluten sensitivity. This is a radical approach. Nutritional quality and digestibility are currently measured only in UK grains destined for animal – not human – food. It has the attraction of getting everyone pulling in the right direction. How would it work? The Government would, with appropriate advice, set minimum standards for an agreed range of micronutrients naturally occurring in wheat flour intended for the production of everyday bread products, including burger rolls, pizzas, wraps, Panini, etc. The standards would not necessarily apply to specialist refined white flour intended for production of ‘luxury’ products, for example, croissants, Danish pastries, cakes etc., items unlikely to be consumed as staples. A meaningful level of nutrient retention would probably result in a slightly creamy-coloured flour with an extraction rate, the amount of the whole grain retained, of about 80 per cent. Step forward ‘Golden Flour’. No need for GM here, just leaving a bit more in. Golden Flour would enlist the technical prowess of millers to preserve the natural vitality of grain rather than destroy it or parcel it up to add ‘value’. Millers would engage with farmers to grow varieties with greater natural nutrient density. Farmers would engage with plant breeders to build nutritional density into selection criteria. The baking industry could promote its basic products transparently with an honest guarantee of minimum nutritional quality, subject to the caveat about the role of fermentation time in bioavailability, a far cry from the present scam of iron fortification. Common flour standards (and modified colour) would help focus on the real potential health properties of bread and encourage positive dietary change, aided by transparency and public health education. Of course, there would be issues. Flour colour might be unacceptable to some consumers unless the reasons for it were honestly explained. There could be shelf-life issues with flours in which the vital, and very nutritious, germ was still present. But such problems seem paltry compared to the opportunity to feed everyone with better bread. What is more, if we could all flourish on fewer mouthfuls of more nutritious bread there would be a real chance of feeding the world fairly – and less stress on both our bodies and the biosphere. Andrew Whitley founded the Village Bakery in Cumbria in the 1970s, baking organic bread in wood-fired ovens. In 2003 he left to start Bread Matters to raise awareness of how good bread can be if we get it right. In 2006 he did an M. Sc. in Food Policy at City University and published Bread Matters (Fourth Estate), described by one critic as “a searing critique of commercial baking methods”. Two years later he co-founded the Real Bread Campaign with Sustain. Andrew is also a trustee of the Soil Association. Andrew’s book and famous courses have helped spark the new home-made bread revolution and his latest venture is the Fungal Network, a place to meet and share sourdough, stories and baking skills. To help people take bread into their own hands, he has just launched a Sourdough Starter which is designed to be used, refreshed and shared far and wide. The next Bread Matters course, Sourdough Special, is on 21-22 September 2013.